Review for APMEX, 2400$ order blown over the 2$ item. 2400$ order blown over the 2$ item. I received a beautiful trio of gold ducats, a stunning 1 ounce gold proof libertad, and my long desired 20 Peso gold coin. All very nice, as expected, packed perfectly, etc. On website when ordering, link for "correct direct fit airtite" displayed on coin page. I added this exact direct link airtite for my 20 Peso. It doesn't fit. Customer service (after 8 minute hold) refused to send correct size. Said it "has to be reviewed in shipping dept as a claim and in 3 to 6 days you will get an answer". I will buy the correct airtite at my local coin shop. 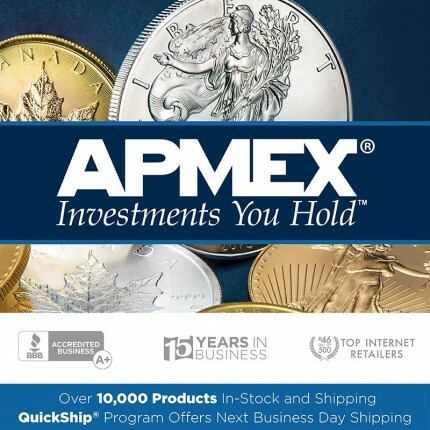 I will not use APMEX again, as the CS rep made clear that "ordering the wrong size isn't our fault". Um, your link, your problem. All it would have taken was "Opps, sorry, we will drop the right one in the mail instead of "we shall review and consider..."